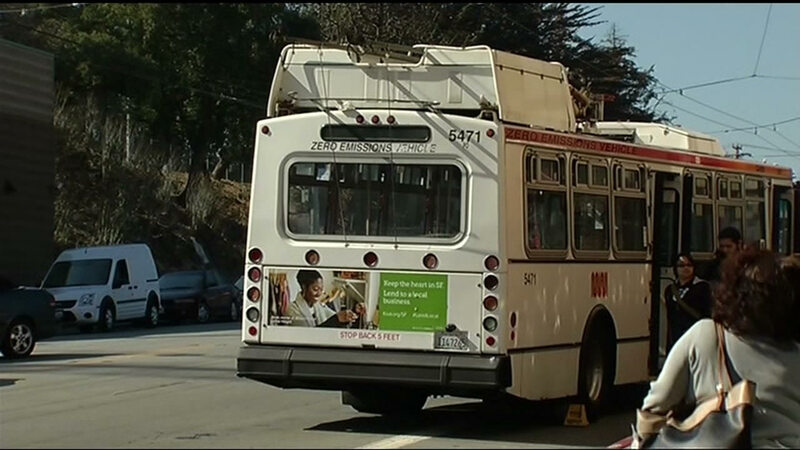 SAN FRANCISCO -- San Francisco police arrested a woman Monday accused of being connected to a deadly assault after a fight on a Muni bus in the Mission District that occurred earlier this month. The 55-year-old woman was taken off life support Friday. She was assaulted by two suspects in San Francisco's Mission District. She was identified by the medical examiner's office as San Francisco resident Nancy Tynan. Shortly after 7 p.m. on Oct. 15, police had responded to a report of an assault in the 300 block of Potrero Avenue, near 16th Street. Witnesses told police that a male and a female suspect were arguing with a woman on a bus. Both the suspects and the woman got off the bus and continued to argue, police said. Witnesses told police that they heard yelling and then saw the woman lying on the ground unconscious. Both suspects fled the area on foot and police have not yet released descriptions of them. The woman, later identified as Tynan, was transported to San Francisco General Hospital, where she was later pronounced dead. Police are investigating the incident as a homicide and have not yet released a motive.